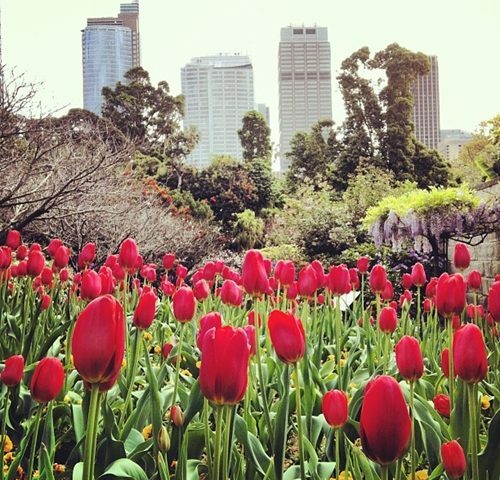 How will you spend Spring in Sydney? Spring in Sydney sees average temperatures of 17 degrees Celsius, the start of daylight savings and a stellar line up of things to do. Using The Macleay Hotel as your central city location and base, spend your stay in the city getting stuck in to this action-packed Spring program. From October 19 – November 5, Bondi will welcome back the world's largest annual free-to-the-public outdoor sculpture exhibition – Sculptures By The Sea. Celebrating its 21st anniversary, visitors to Bondi can enjoy sculptures by top international and local artists and up and coming talent. All displays will be dotted along the coastal walk from Bondi Beach to Tamarama Beach. Last year, Sculptures by the Sea attracted more than half a million visitors over the 18 day program. Be sure to make the half an hour public transport journey from your central Sydney accommodation to join in on the fun! It's time to dig out your school robes, practise your spellsand get ready for a night of wizardry at Sydney's very own Opera House. This Spring, Sydney Symphony Orchestra will perform John Williams' original score from Harry Potter & The Chamber of Secrets alongside the 2002 movie in the iconic Sydney landmark. The live musical accompaniment creates an atmosphere like no other, making visitors feel like a true part of the action. In 2016, Australians drank more than 75 million litres of beer, according to Australian Bureau of Statistics. So what better way to celebrate this golden ale than with an entire week dedicated to beer! That's right, Sydney Beer Week is back and bigger than ever. Enjoy sipping your way across the 75 designated venues hosting a plethora of events from October 20 – 29. Make the 30-minute train journey from your Potts Point hotel to The Wild Rover in neighbouring suburb Surry Hills where a British beer invasion is set to take place. The warm weather of Spring can only mean one thing – the beginning of race season. Kicking things off in true sophistication is Sydney Spring Carnival. Enjoy an action-packed program spanning 10 weeks full of racing, fashion, hospitality and plenty of social engagements. Royal Randwick will welcome the world's richest and Australia's first $10 million horse race on October 14. Watch some of the world's best jockeys and thoroughbreds battle it out for one of racing's most sought after titles. Sydney is full of incredible dining opportunities and once Good Food Month has kicked in, you'll be nothing short of full. Good Food Month is Australia's biggest food festival and celebrates the city's eclectic culinary scene with a program of events, unique eating experiences and special offers throughout October. Kick proceedings off with the festival's official launch at Hyde Park Palms – a Palm Springs inspired party complete with delectable dishes and drinks. A highlight not to missed is the ever popular Night Noodle Market. Just a 20 minute walk away from your Sydney city hotel are more than 40 stalls of spice-infused and Asian-inspired treats. Enjoy spending a balmy Spring night perusing and sampling slurp-worthy noodles, sticky pork buns and bespoke deserts from the team at N2 gelato. With so much to see and do in Sydney this Spring, make sure you've nabbed yourself the best accommodation possible at The Macleay Hotel. Call us now to see what we can do for you. 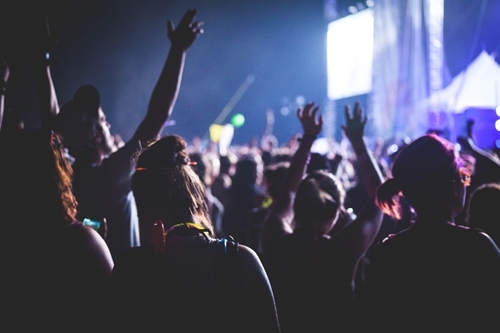 There's no better place to enjoy live music than in Sydney.